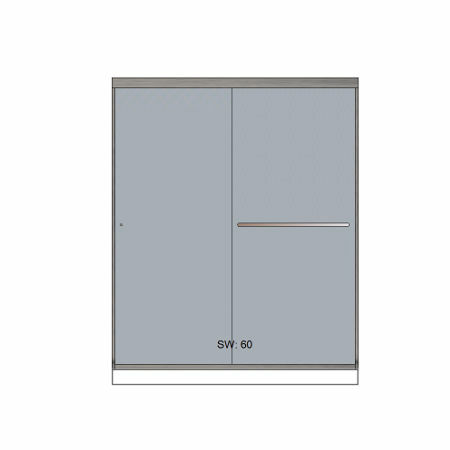 Door and Panel $799+tax Pick Up! Up to 60" wide by 72" Tall. Brushed Nickel, Chrome, and Oil Rubbed Bronze Hardware. Call and ask about our special today! You can trust us with one of the most important parts of your shower. We provide kits that are ready to install or let our team of highly experienced installers take care of everything. We only use the highest quality material and assure that every enclosure is made to your exact specification. Our shower doors are custom made for you. Our most popular style available in 3/8" or 1/2" thickness. 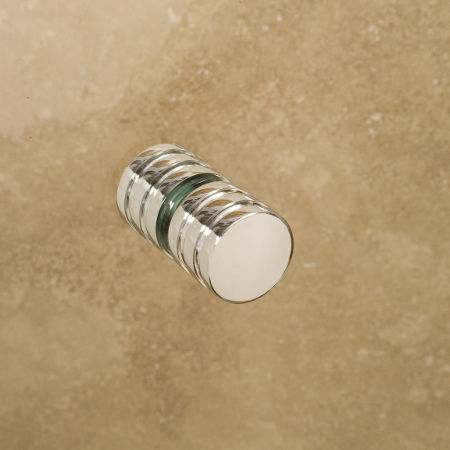 Minimal hardware make this a top choice for homeowners and designers. Clean lines prevent any distraction from custom tile work while low profile hardware secure the glass safely and securely. The highest of quality is right here at Edgewater Glass. 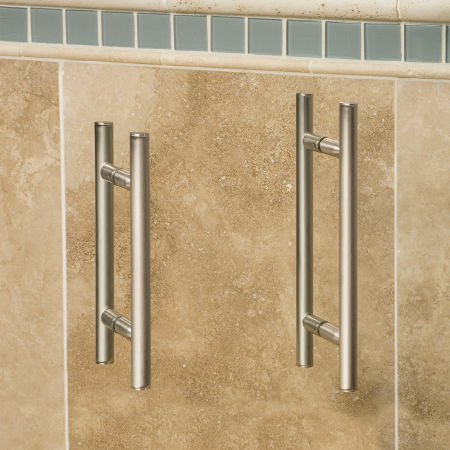 Our Transcend Series uses exposed rollers and heavy duty hardware make this a perfect option when a sliding door is desired. Smooth operation allows this enclosure to function flawlessly while making your bathroom stand out from the normal sliding kits. The Transcend and Skyline series are available in 3/8" and 1/2" Thickness. Agalite's EasyClean10 Glass Treatment is an ultra-thin transparent protective glass coating that completely adheres to the glass surface. The non-stick properties of EasyClean10 cut down on the buildup of soaps, shampoo chemicals, salts and minerals on the glass. Overall, EasyClean10 makes shower door glass easier to clean using only water and a mild detergent. Harsh toxic cleaners are not needed to clean glass with EasyClean10 glass treatment. Is your layout below? If not, no problem! Our most affordable glass sliding shower system doesn't compromise quality for cost. A nice 1/4" thick glass system that is easy to install for the do it yourself homeowner or have our team of highly experienced installers do it for you.